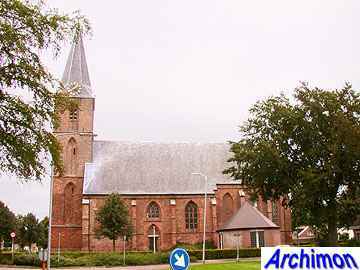 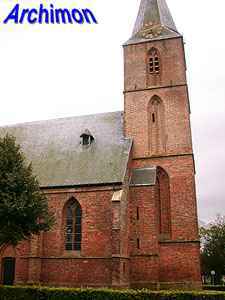 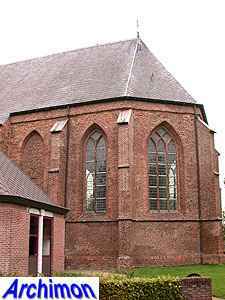 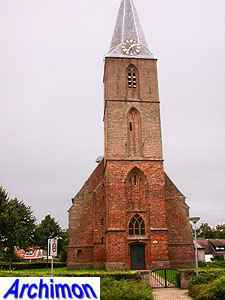 The church of Beilen was founded before 1139, but the current Gothic church dates from the 14th century. 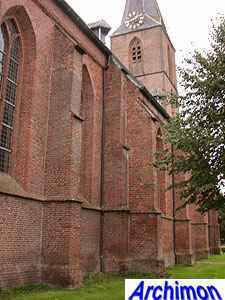 At the end of that century the tower and the one-aisled nave was built, followed by the narrower choir in th early 15th century. 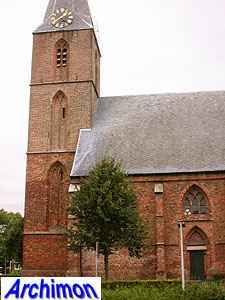 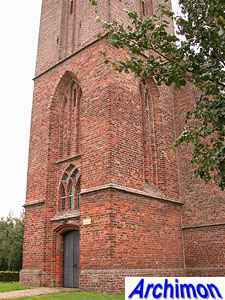 The tower is in Drenthe Gothic style. 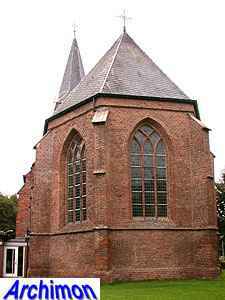 It is divided in four segments and has a tall blind niche in each side of the second, third and fourth segment. 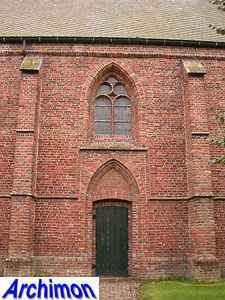 In the case of this tower the niche on the western side of the second segment is directly connected to the portal. 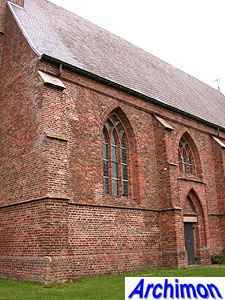 The niches in the upper segment are open with sound holes. 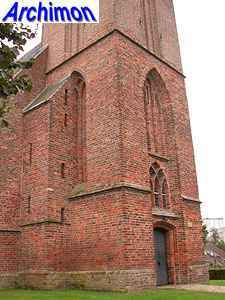 On the north side the tower has a stairturret that blocks part of a niche. 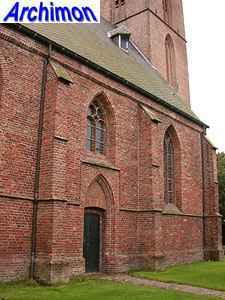 The second trave of the nave has portals on both the north- and the southside. 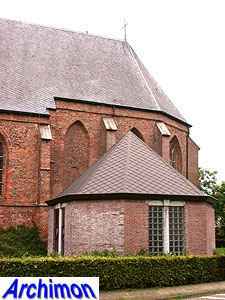 Similar portals are also found at other medieval churches in Drenthe.